Use Vector Labs’ antigen retrieval reagents with formalin-fixed, paraffin-embedded tissue sections. 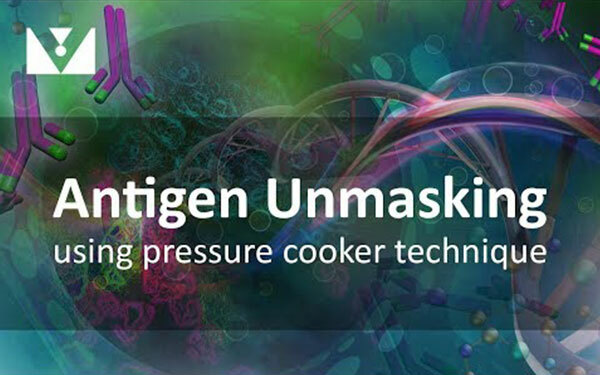 These reagents (in combination with a high-temperature treatment) unmask antigens for optimum immunolabeling. Lymph Node: Without (left panel) and with (right panel) TRIS-based Antigen Unmasking Solution, Cyclin D1 (rm), ImmPRESS® Anti-Rabbit IgG Kit, DAB (brown) substrate. Hematoxylin QS (blue) counterstain.